This free sample is just one of the thousands of free things that you can find on Free Sample Monkey. If this is your first visit be then check out what FSM is all about.FSM finds all of the best current free samples from around the internet and puts them on the front page in an easy and convenient format for you to see. 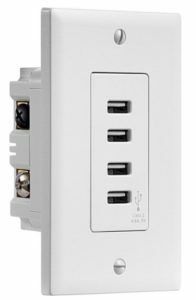 The post Insignia™ – 4.8A 4-Port USB Charger Wall Outlet $8.99 (Reg $35) appeared first on FTM.